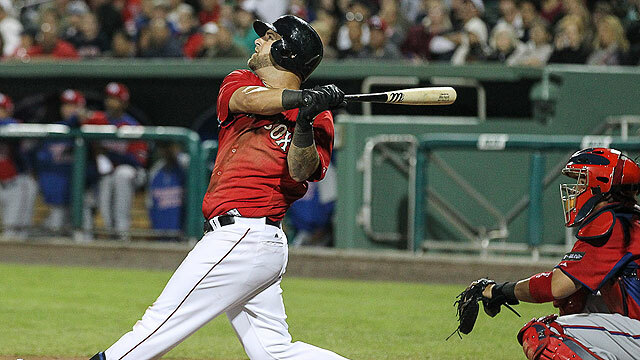 Over the last 5 seasons, Major League Baseball has been held captive by the Senior Circuit. Having taken home 4 of the last 5 World Series Titles, and the last 3 consecutively, the National League has made the “best League” debate one-sided. The difference between the last 3 seasons and the present one, however, is home-field advantage. The effects of home-field advantage in the World Series cannot be overstated, as the home team has won the 7 of the last 10 titles. In the only recent World Series to go the distance, home-field played its role, with the Cardinals winning at Busch Stadium in 2011. With 2013’s home team represented by the American League, I present to you a few of the teams with the best chances of winning in October. The Detroit Tigers are on a mission to accomplish what last season saw them fail to do: win the World Series. Riding a storm that had the team fall to the San Francisco Giants in sweeping fashion, the Tigers have picked up right where they left off. The biggest difference between this year and last? Max Scherzer. Scherzer has found a way to put it all together this season, holding a 3.19 ERA while amassing 152 total strikeouts. Though Justin Verlander (3.69 ERA) hasn’t been his regular MVP self, Anibal Sanchez (2.85 ERA) and Scherzer have picked up all of the loose pieces. Given that the team once again boasts a thundering offense, they are in prime position to reach the promised land once again. Combining stellar pitching with Miguel Cabrera (.359 BA, 96 RBI) and the near-All-Star shortstop Jhonny Peralta (.363 OBP) gives the Tigers one of the best chances to avenge themselves in this season’s World Series. Outside of Joaquin Benoit (1.60 ERA) and Drew Smyly (1.83 ERA), the Tigers’ bullpen has been shaky at best. Not only have they struggled to keep close games close, they’ve failed to seal games that should have never been close to begin with. 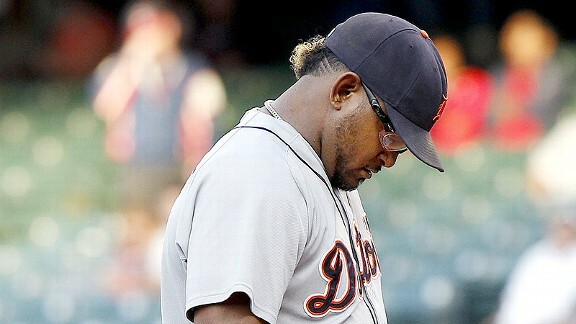 Giving the closer’s job to Jose Valverde was ill-advised from the start, but letting him keep it for as long as he did might have been downright wreckless. The overwhelming belief (and rightfully so) in baseball is that hitting wins games, but pitching and defense win World Series. The Tigers have more than enough starting pitching to make noise in the postseason, but unless those starters are pitching complete games, the holes in their bullpen can and will be exposed. Top that with one of the most error-prone (47) defenses in baseball, and you have a less-than-hopeful combination. Unless they can make a change in either department, the Tigers might be setting themselves up for another heart-wrenching finale. Put simply, the Red Sox have the best offense in all of baseball. With Dustin Pedroia, Jacoby Ellsbury, and David Ortiz rounding out their lineup, it’s not difficult to see how this team scores runs. Though it might be unbearable to a certain East coast fanbase, using the phrases “Red Sox” and “World Series” in the same sentence is hardly an overstatement. The team has led the Majors in runs scored (504) for the majority of the season, and has one of the highest batting averages (.276) and on-base percentages (.349) in the American League. Aside from an offense that seems to be unstoppable, the team has managed to stay in stride in the absence of their best starting pitcher. The asterisk at the end of their hitting, Boston starting pitching has been inconsistent all season long. Though we’ve finally seen John Lackey (2.95 ERA) put together a year that lives up to his contract, it hasn’t been enough to pencil them in atop the American League’s best starting lineups. An injury to their top starter, Clay Buchholz, and an inconsistent showing by Jon Lester (4.58 ERA) have left a lot to be desired in terms of sheer performance. The good news in terms of pitching, though, has been the bullpen’s ability to do what the starting pitchers have failed to accomplish- establish a norm. Koji Uehara, Junichi Tazaw, and Andrew Miller have been fantastic in each of their roles this season. The reason the bullpen is listed in this section, however, resides in the fact that the team has recently lost their closer, Andrew Bailey, for the rest of the season. Koji Uehara, the team’s fill-in closer, has boasted a whopping 19.29 ERA in postseason play, albeit in just 2.1 innings. If he can turn his late season struggles around, this might turn out to be a blessing in disguise for an already formidable Red Sox bullpen. The fact that the Rays are on this list is not only a testament to their willpower, but one to the overall competitiveness of the AL East. Easily the toughest division in baseball, the Rays have found ways to put a good team together, and place themselves in a position to make a postseason push. When the Rays lost James Shields during the offseason’s Wil Myers trade, it was hard to believe that their starting pitching could amount to rotation that gave them a CY Young Award winner in the season prior. The resulting thought, however, is that Rays pitching depth should never be questioned. They have once again pieced together a stellar starting rotation, starting with a much-recovered David Price (4.03 ERA) and tallying 6-deep with Chris Archer (2.76 ERA). An old baseball adage tells that “you can never have too much starting pitching.” That statement is true in as many ways as the Rays can run at you. With pitching in the fold, and Evan Longoria (20 HR) leading the way offensively, the Rays seem to have more than enough to compete for a Title. Wil Myers (.310 BA) is turning out to be everything the organization had hoped for, and James Loney (.314 BA) has seemingly come from nowhere to save the day at first base. The interesting theme for this Tampa Bay team is that it does not have any deal-breaking holes aside from one glaring one: its bullpen. For every positive that the Rays’ starting rotation has, the bullpen has an equal negative. Starting with the team’s closer, Fernando Rodney (4.04 ERA), and furthering with the team’s setup man, Joel Peralta (3.07 ERA), the bullpen has been unspectacular to say the least. While it might not be enough to keep the team from making the playoffs, the bullpen might be enough to keep them from winning a World Series. For all of the same reasons that Detroit might be setting themselves up for disappointment, the Rays might be riding in the same boat. Fortunately for them, the team has enough serviceable starting pitching to bolster the bullpen on a postseason roster. Shorter rotations mean more help in the peripheral categories. Whatever they are able to accomplish, the Rays remain baseball’s most prominent feel-good story. If you have any questions, comments, or complaints about my leaving your favorite team off of this list, leave them in the section below. I’ll look forward to hearing from you.